This year, Remembrance Day, November 11, will mark the centennial anniversary of the end of World War I. 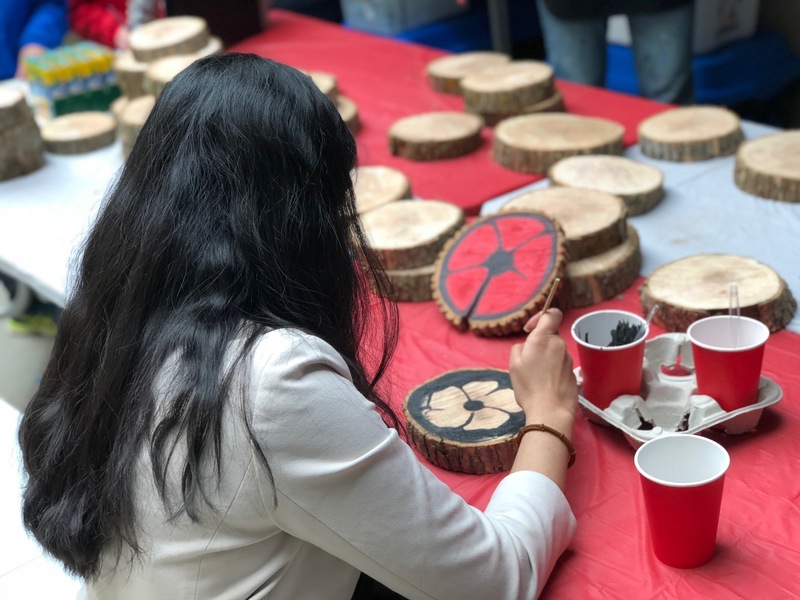 To commemorate this occasion, Parks & Forestry is engaging the community in a yearlong project with the goal of painting a minimum of 1,111 wooden poppies by Remembrance Day. 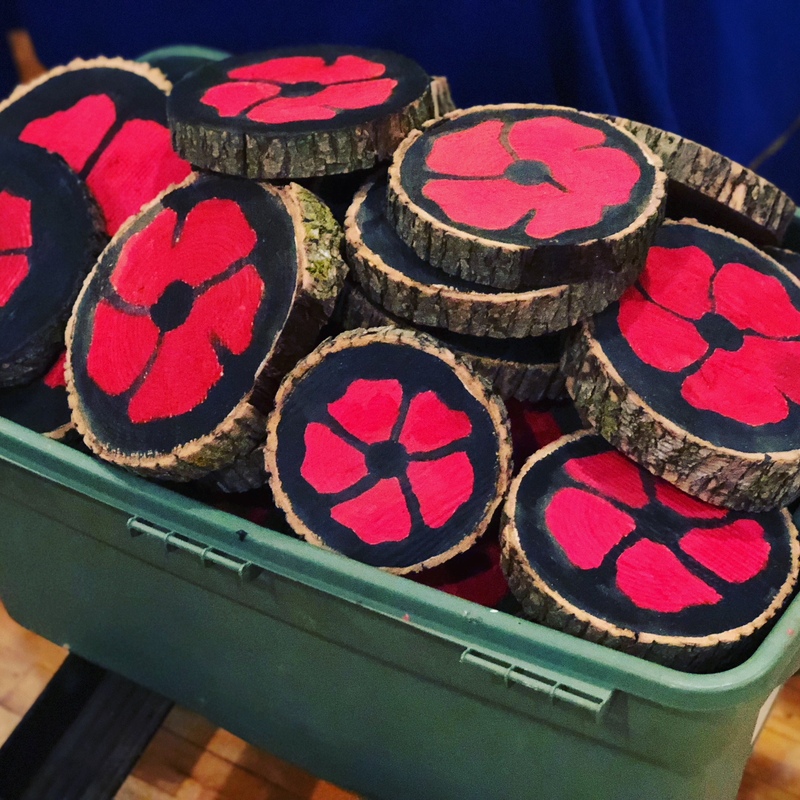 The poppies will be painted on wood from ash trees that fell victim to the Emerald Ash Borer at community events throughout the year. On Remembrance Day, the poppies will be displayed altogether as one large poppy with others being left on the graves of veterans in the cemeteries and cenotaphs managed by Parks & Forestry before being chipped and recycled in the City’s parks and trails system at the conclusion of the project. The final large poppy will be on display November 9-11, 2018 (subject to weather conditions) at Mississauga Celebration Square, 300 City Centre Dr. The project has exceeded initial expectations and has included the participation of over 3,000 volunteers. It is estimated that the project will divert 3-4 cubic metres of wood from landfills and capture 3-4 tonnes of carbon dioxide from the atmosphere. Thanks to the overwhelming support of the residents and groups who have participated in this project.